After embracing a new understanding and perspective in 1998, I then was given guidance for a support group. My local place of worship and a foundation, helped further me with education and how to properly apply the knowledge into a healthy way of life (Deen), and I'm still a work in progress. Meet the Ta'leef Collective in Fremont, California; a space for many who recently embraced Al Islam and those of us seeking spiritual repair. It is a cohort of leadership working to secure a healthy American Muslim Narrative. Founders Usama Canon and Mustafa Davis have created a safe space, in collaboration with Zaytuna Institute. Where individuals come to be enhanced and not reconfigured. Nurturing a person's natural disposition, to strike balance within one's life. As stated by Usama Canon in the below video blog-ver-sa-tion, "Ta'leef will shift the paradigm..." Watch more of his interview. We have recently embraced Ta'leef's web series REFLECTIONS, mainly for its creativity and framed delivery of the message. It can become difficult seeking credible online sources, where a strong Islamic narrative exists and it does not dilute any Islamic ethics or weaken the Muslims' way of life. 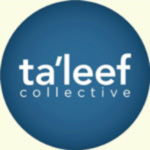 Thank you for supporting Create-A-Voice's returning for creativity and/or ideals of leadership at work, such as the Ta'leef Collective. Keep working for good and next week it may be you, here on Every Thursday.